When you live in Florida, you know a thunderstorm could pop up at any time, whether the meteorologist warned you or not. Unfortunately, though, your windshield wipers are probably not one of those things you think about too often. However, when that rainstorm does catch you on I-4, you depend on them to clear your windshield and improve your visibility. Skipping occurs when the blade develops a curvature from lack of use. All of the above causes reduced visibility and can lead to scratched glass. Wiper blades should be replaced every six months to a year or as soon as you notice a difference in driving visibility. • Broken frame – detachment of frame arms at joints or connection points. • Metal Corrosion – especially at joints and claws. • Visible cracks, tears, and missing pieces in the rubber squeegee’s edge. • Flex rubber squeegee back and forth to see if it is still flexible. Aged squeegees will have difficulty conforming to the shape of your windshield and create streaks. • Check squeegee wiping edge for rounded edges which can prevent the wiper blade from making strong contact with the windshield and reduces wipe quality. • Tug to ensure wiper blade has been securely installed on the wiper arm. • Check that squeegee is secure in the wiper frame. Taking care of your wipers is easy. Fairly often, take a wet towel and run it along the edge of the blade. This will remove, dust, dirt, and grime that can build up over time. While cleaning them, it is a good time to inspect your blades for areas that look rigid or worn. • Clean your windshield every time you fill your gas tank. • Gently wipe the rubber squeegee with a damp paper towel to remove any loose dirt or oil. • Never use your windshield wipers to de-ice your windshield. Instead, either use an ice scraper or use your defroster to melt snow and ice. • Pull your wiper blades away from the windshield during winter months to prevent ice buildup on the rubber squeegee and to prevent them from sticking to the windshield. 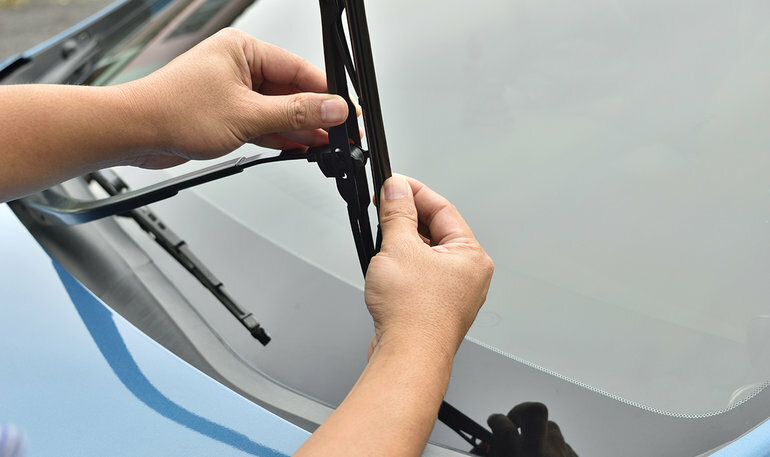 Good wiper blades are as important to a vehicle’s safe operation as clean oil and good tires. So remember to change your wiper blades at least once a year, and to inspect them frequently for wear and tear. Replace them if necessary. It is one of the easiest and most affordable ways that you can improve the safety of your vehicle. 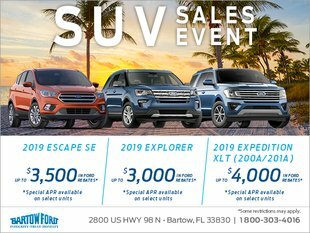 And if you need help with inspection or replacement, the friendly technicians at Bartow Ford are happy to help you out!